The competition inherent to globalisation has led enterprises to gather in nests of specialised business providers with the purpose of building better applications and provide more complete solutions. This, added to the improvements on the Information and Communications Technologies (ICT), led to a paradigm shift from product-centrism to service-centrism and to the need to communicate and interoperate. Traditional segments like banking, insurance and aerospace subcontract a large number of Small and Medium Enterprises (SMEs) that are undergoing this change, and must ensure the criticality and accuracy of their business is not affected or impacted in any way. This also is an excellent motivation for improving the capabilities for capturing the knowledge about businesses, not only their processes and methods but also their surrounding environment. The EU co-founded FP7 TIMBUS project comprises tools and techniques to improve business continuity featuring an intelligent strategy for digital preservation of business assets and environments based on risk-management. 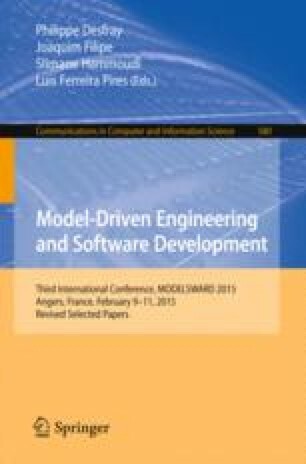 This paper proposes the modelling of service-based business information capturing strategies to help in the proper establishment of a knowledge base that permits a seamless interoperability between enterprises. The research addressed here also explores how traditional knowledge representations can be enriched through incorporation of implicit information derived from the complex relationships (semantic associations), modelled by domain ontologies, enhanced by information coming from additional sources of information (e.g. documents). The authors wish to acknowledge the support of the European Commission through the funding under the 7th Framework Programme for research and technological development and demonstration activities, through projects TIMBUS (FP7/269940) and FITMAN (FP7/604674).